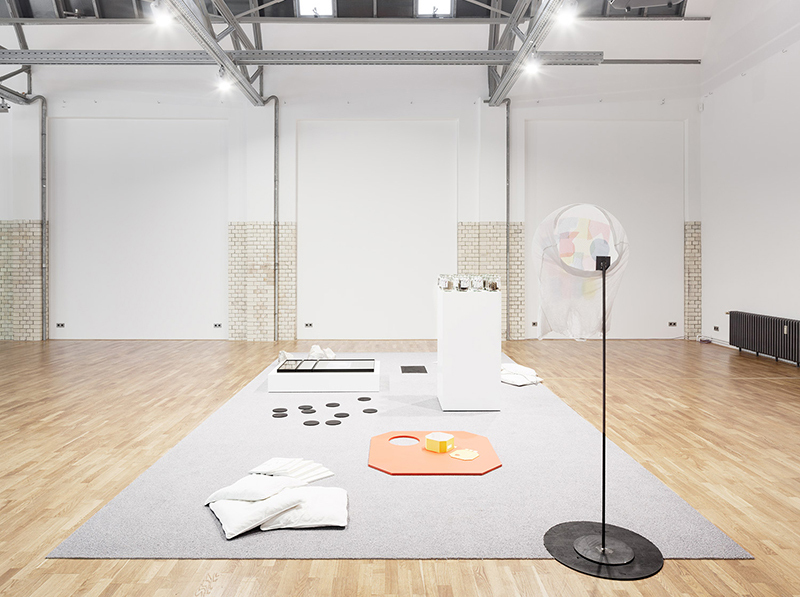 In Extenso – Erweitert is a project by the Bureau des arts plastiques of the Institut français and DAZ and it questions “How to rethink space and matter?”. 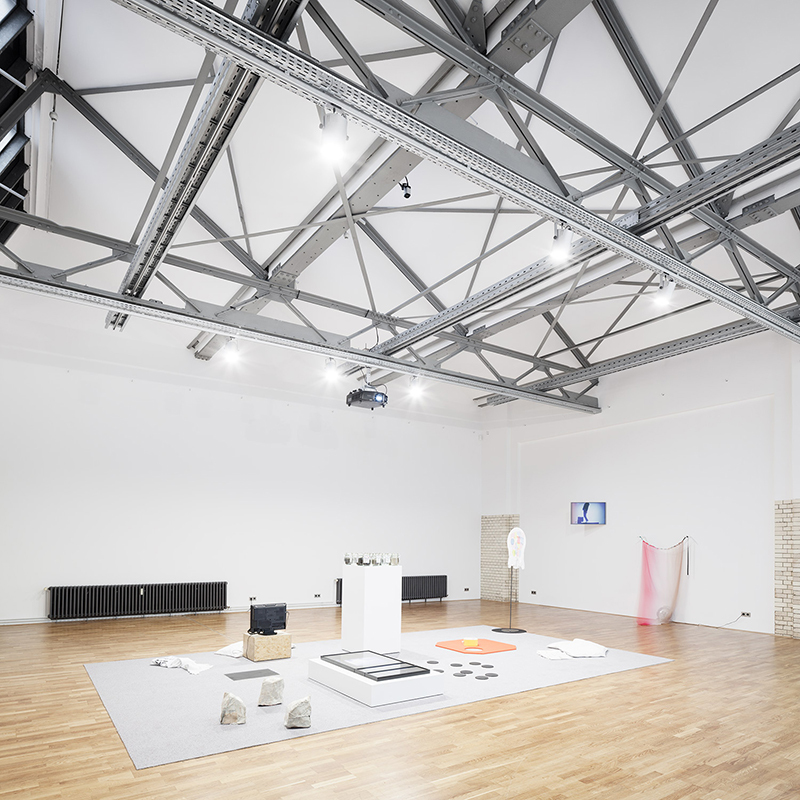 As part of the “Jeunes Commissaires” young curators program, the French curators Karima Boudou, Céline Poulin and Agnès Violeau were invited to work with artists, architects and writers to experimentally explore this question at the intersection of art and architecture. 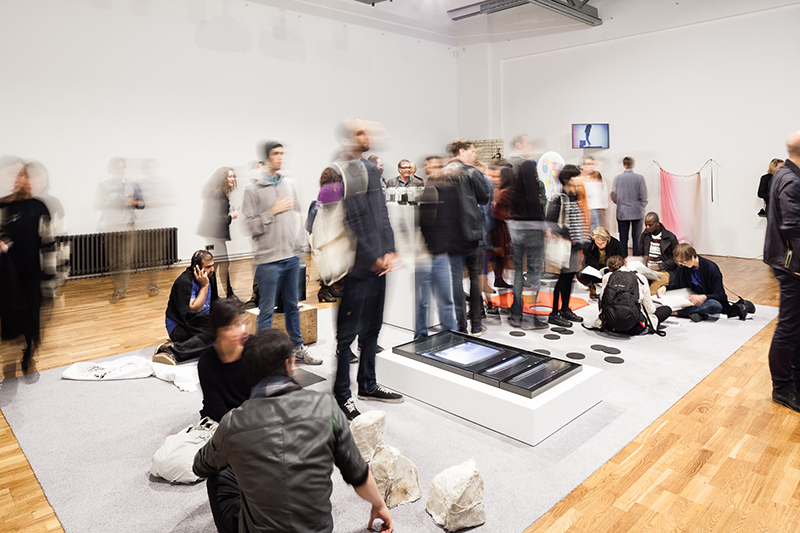 As an idea exchange on physical and social space, the project enables expanded interaction. 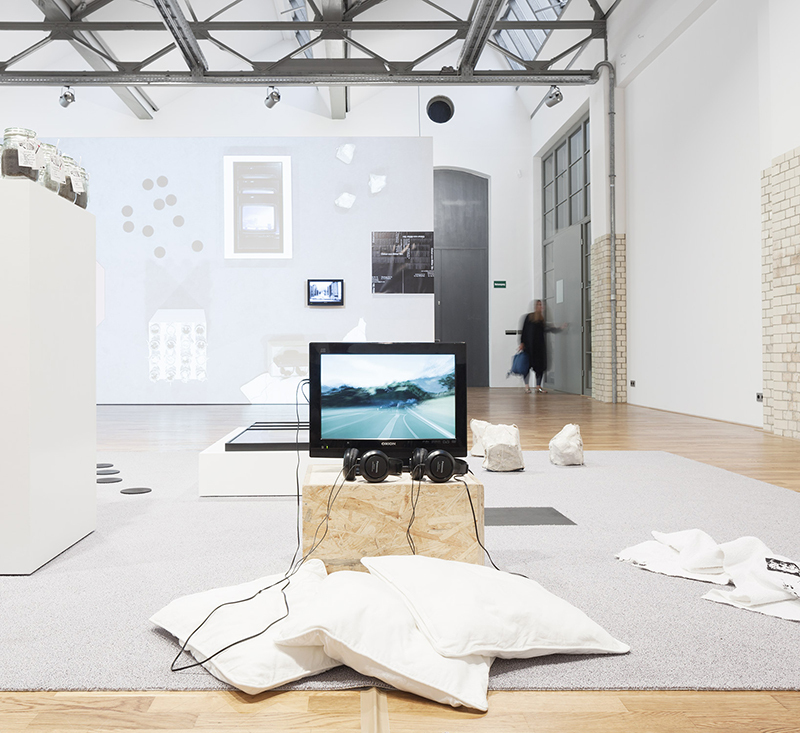 “A space is a space is a space” is a performative and narrative exhibition conceived by three curators – Karima Boudou, Céline Poulin, Agnès Violeau – to probe notions of social context, public space and performance as possible discursive platforms. 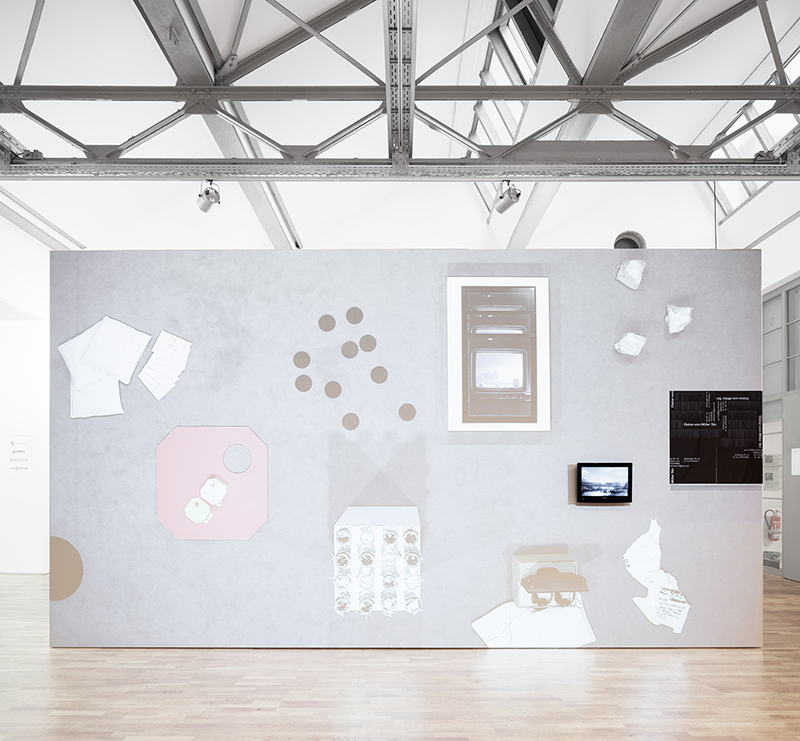 The exhibition orchestrates a polyphony of perspectives relating to staged realities: the physical space of the DAZ, the urban environment on the banks of the river Spree, the Internet – with the website Mind The Gap – and editorial practice as sites of public exchange. 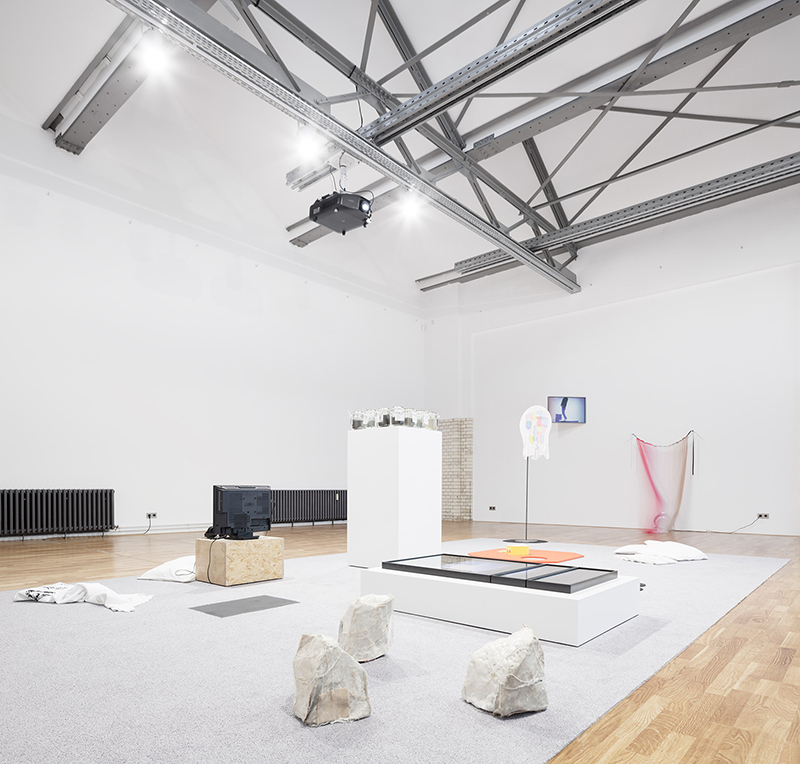 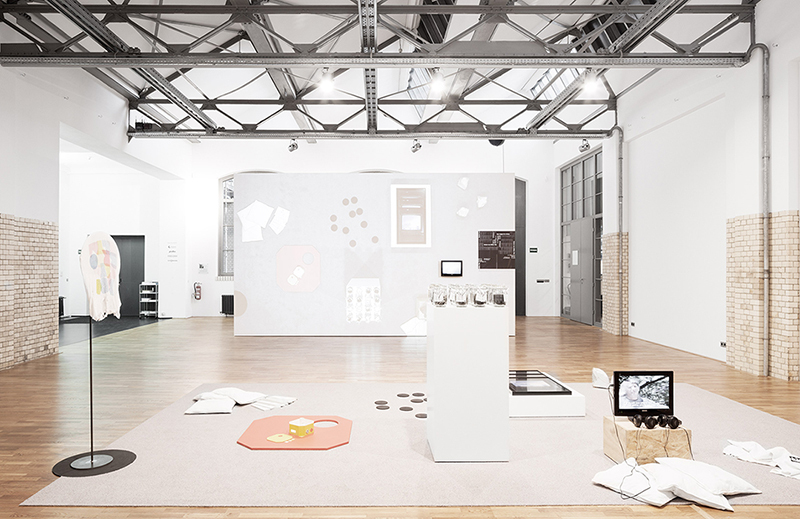 The exhibition invites visitors to compose or deconstruct their own propositions within these spaces through documents or objects that are then activated within or beyond the site.